Guitarists have a bad rap when it comes to reading music. While this generalization rings true, it’s rarely acknowledged that the guitar is a technically demanding instrument to read on. The complicated nature of the instrument, and lack of access to proper instruction, often causes guitarists to give up on reading. But no more! This course was specifically designed for guitarists who want to learn to read music notation. It starts at square one: the focus is on the fundamentals of notation and the practice of reading rhythm. With over 30 playing tests for both guitar and drum pad, backing tracks and real-life playing scenarios, this course aims to demystify what it means to read music and will help you to communicate more efficiently with other musicians. Grab your guitar, plus some drum sticks, and let’s go! 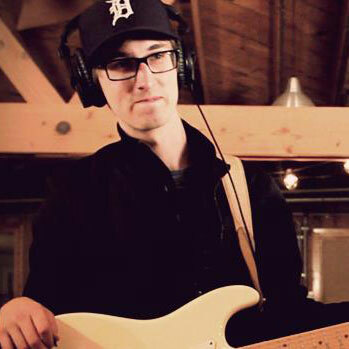 Corey Richardson is Chicago-based guitarist who specializes in pop, jazz and musical theatre. He’s a graduate of the University of Michigan’s School of Music, Theatre & Dance and is also a member of the Soundslice team. His performance credits include guitar work with the viral YouTube theatre troupe “Team Starkid” and “Glee‘s” Darren Criss.